4.1.1 What are the Boosters up to? 6.3 Kohei Yoshida: mdds 0.3.0 released! 11.1 64 or 32 bit on core2duo? 12.1.1 KDE Software Compilation 4.4.3 Released: Codename "cuality"
Welcome to issue # 122 of openSUSE Weekly News. Now the eighteenth Week goes to the End, and we are pleased to announce our new issue. In this week we are busy with the Milestone 6. After that we're interested in the last Milestone (7). We would like to invite all of our readers to test the new Milestones. And please file all found Bugs into our Bugzilla. "Milestone 6 (of 7), a snapshot of the Factory “work in progress” build, leading up to openSUSE 11.3 release in July, is now available for download. M6 is the first release during the “Stablizing Freeze”: focus has transitioned away from the inclusion of new features and applications toward increasing stability and usability. To that end, 162 bugs were resolved during the M5 – M6 timeframe!" "For our openSUSE distributions, we release regularly updates to fix security issues and general bugs. As desktop user, you get notified in GNOME and KDE via the updater apps about new packages once they run (normal setup is once a day). Security announcements are send out via the opensuse-security-announce mailing list (subscribe via lists.opensuse.org). To get informed about all updates as soon as they are released, you can read the opensuse-updates mailing list (subscribe via lists.opensuse.org) and now follow also the new Twitter user @openSUSE_Update." "LinuxTag 2010 is around the corner. There will be openSUSE Rock ‘N’ Roll from June 9 to 12 at the Berlin Fairgrounds! We just received word that our project got accepted for a booth and that we have 13 talks in the program of the free conference." "I just installed milestone 6 to test our SELinux functionality... it works! :)"
"These posts are here to keep you informed about what the openSUSE Boosters team is up to. The openSUSE Boosters are a team of dedicated people helping parts of the project to take of. It consists of 13 people (BTW: widely known as the thirsty thirteen) with skills ranging from low level C hackery over Ruby on Rails mastering to Graphical Design or Project Management. The team picks its own milestones and works on them in a agile fashion. You can learn more about them and what they do on their home page in the openSUSE wiki." "We have two changes in the staffing of the Boosters Team: Petr Uzel is changing to the L3/Maintenance Packagers team, they are quite flooded with work and Petr wanted to dig deeper into code, packaging and bug fixing. Although we are sorry to let him go I wish him all the best! Petr, it was really fun to work with you, we hope you stay around at openSUSE and good luck - have a lot of fun! And here is a warm welcome for Christopher, nice to have you with us - and note that you have to be thirsty for two! " "The possible last 1.7 release is reaching the mirrors. The almost single change is a change for the schedulers. They don't block anymore when retrieving informations from a remote instance, but keep working on other local projects." The Build Service now hosts 12590 (+116) projects, 93366 (+305) packages, 21982 (+60) repositories by 22990 (+317) confirmed users. "MonoDevelop 2.4 was a release in which we focused on improving the ergonomics of the IDE. We did this in dozens of places and we did this by dogfooding the IDE and comparing it to other tools and environments that we have been using. With MonoDevelop 2.0 and earlier we used a dialog box like most other GUI applications from 2005. The dialog would remain on top of the text and the user would press next, and move the dialog box around as the matches were found." "Feature #303793 proposes to mount /var/run as tmpfs. Services must be modified not to depend on a preexisting content in /var/run upon startup. RPMs must be modified to not place anything there.”"
"One particular article that is correlating to my experience working on openSUSE wiki is Ontology is Overrated: Categories, Links, and Tags or in short "how chaos is organizing itself". In other words, we did not enough to organize our chaos and we have wiki that we made, and deserve. Are we, openSUSE users only to blame? Users of openSUSE are not well aware of FOSS concepts, which include a lot of own involvement in creation and maintenance of distribution. There is no such thing as a free beer, you pay with currency or with own work." "The openSUSE wiki Portals have few sections that are included from subpages. For instance introductory section of Portal:Wiki is actually on a subpage Portal:Wiki/Intro and it is used in article itself, but also in the Main page, just as Project and Distribution portals intro pages. Using subpages in the similar way are created other sections of any Portal page. Nice about this is that nothing prevents to use parts of portals anywhere we need them." "I won’t discuss revolutionary strategies here ( hope I make one someday) but something related for sure nor comment on the way’s good MNC’s do it . Just my viewpoint and few things I would like to share on promoting Open Source software - to be specific openSUSE . We all basically know what are the basic methods." 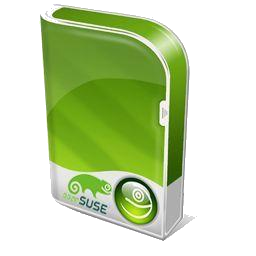 "Well as it always has been, opensuse was present in the three branches of FLISOL. Here is the report for each one." "Continuing with another round of pictures from the Venezuelan FLISOL, i bring here a small recopilation of pictures from galleries of the main site, Caracas, where openSUSE has presence like in the other 19 sites. This time, i wanna take time to thank Maria “tatica” Leandro, the national coordinator of the event, for all the invaluable help and dedication that she put to get our FLISOL a really great live experience. She is a famous Fedora Ambassador in the region, that got the sponsorship from Novell for all the sites, and even to get spread the openSUSE word in other post-flisol events. I would like help her in getting the material, but this happens in a time that i was bloated of work. So, I hope she gets her beatification from her invaluable help in the event." "Over the weekend I attended the Oggcamp event at Liverpool, organised by the presenters of the Ubuntu UK Podcast and Linux Outlaws. I was there with a table top full of small green animals, openSUSE disks and the like. Saturday started with an excellent keynote by Simon Phipps. He spoke mostly about digital freedom issues including surveillance, DRM, ACTA and the Digital Economy Bill. He urged people to make election candidates aware of the issues and why they matter." "It looks like I'm good at blogging about the first day of a hackfest and then not continuing that, so I'll continue this trend ;-) I just want to state publicly that I have a few GSettings-related posts in mind to write, though: schema, gconf backend, porting your application, etc., so now I'll have to deliver those posts about the results of this amazing GSettings hackfest!. But I am now in Zaragoza, attending the Marketing Hackfest, so let me write a bit about it." lists.opensuse.org has 37263 (+4) non-unique subscribers to all mailing lists. The openSUSE Forums have 45442 (+203) registered users - Most users ever online was 30559, 08-Jan-2010 at 13:06. 4615 (+17) of 11904 (+43) registered contributors in the User Directory have signed the Guiding Principles. The board has acknowledged 395 members. "I have been away from my build host for too long, but as many of you doubtless realized: in time for the VLC 1.0.6 release the repository is fully back on track and the latest packages have landed (ok: this post is a bit late: the packages have been there for a while and you all enjoy them)." Kohei Yoshida: mdds 0.3.0 released! "I’m happy to announce the release of version 0.3.0 of Multi-Dimensional Data Structure, or mdds for short. This is a C++ library, and is a collection of various data structures designed to efficiently store and query multi-dimensional data for various filtering criteria. Different structures are optimized for different query needs. This library is a source-code only library. It’s designed to be header-only meaning that the user program does not need to link to any additional shared library in order to use these data structures. The data structures are all available as C++ templates." "We just released the first of the unstable/beta releases leading up to Banshee 1.8. We are aligning with the GNOME release schedule for 1.8, like we did for 1.6. The Banshee calendar has the full release schedule. Our download page describes how to get beta releases. See the 1.7.0 release notes for more information. One small new feature is the ability to switch sources quickly via the keyboard. You can type 'g' to activate the switcher, then type a source's name, acroynm, or substring of the name to switch to it — eg g then np to switch to Now Playing." "The AMD and Intel graphics drivers now support a wider range of chips and make better use of power saving features on the older chips. A major revamp of the recently introduced KMS driver for NVIDIA graphics hardware means that the Nouveau driver for X.org will in future make use of kernel-based mode setting"
"This article originally appeared in issue 86 of Linux User & Developer. Linux User & Developer, one of the nation’s favourite Linux and Open Source publications, is now part of the award winning Imagine Publishing family. Readers can subscribe and save more than 30% and receive our money back guarantee – click here to find out more. Last month saw the release of the final 2.6.33 Linux kernel, following several months of development (and some last-minute patches – including the network namespace bug this author discovered and wrote about in the previous month). In his release announcement, Linus Torvalds specifically drew attention to newly added support for Nvidia graphics acceleration through the ‘upstreaming’ (a colloquial term for inclusion of code in the official kernel) of the Nouveau 3D graphics driver, as well as the final upstreaming of the DRBD ‘Distributed Replicated Block Device’ driver that has existed for years in a separate project (and has been shipped by at least one enterprise Linux)." -On the fixes side, we begin with Trond Myklebust's NFS client bugfixes , and continue with a small fix from Jens Axboe regarding the block tree; in related news, other fixes are : xfs (Alex Elder), kgdb for -rc5 (Alex Elder), perf (Arnaldo Carvalho de Melo), spi/gpio (Grant Likely), USB for -rc4-git (Greg Kroah-Hartman), who also sent fixes for the tty and staging trees." "As a blogger and a researcher, I have to conduct a lot of interviews. Some months I’ve conducted two or three interviews a week, and many of those are recorded interviews, because many people don’t have time to answer questions via email. One of the nice things about recorded interviews is that they work well as an audio podcast either available for download from your own blog, or distributed as a podcast at any podcast directory. Regardless what you intend to do with the interview, one thing that’s for certain is that you want to develop a reputation as a professional interviewer that produces high-quality, interesting conversations with fascinating people." "This tutorial explains how you can integrate ClamAV into PureFTPd for virus scanning on an OpenSUSE 11.2 system. In the end, whenever a file gets uploaded through PureFTPd, ClamAV will check the file and delete it if it is malware." "The SMB traffic analyzer software suite is a toolset aimed at visualizing the data flow on one or more Samba servers, providing statistics about the usage of Samba services. The long term goal of the SMB Traffic Analyzer project is to provide a universal remote debugging facility for Samba. When I introduced SMB Traffic Analyzer Version 2, and released a backported version from the Samba master repository of the protocol for Samba 3.5.2, I was not going into detail about the future of the client programs, because the development was at a stage of only theoretical planning. Now we have made a few more steps at planning and developing, so I can tell more about the plans for SMBTAv2." I don’t have a presentation slot at SambaXP 2010, because I don’t feel the SMB Traffic Analyzer project is in a state ready for a SambaXP talk." "Hacked a little lighttpd redirect on s.opensu.se to shorten URLs to openSUSE package repositories. followed by the name of the repository, without the slashes (/) to separate, as it is redundant with ":""
"For SUSE Studio we are looking into adding nice permalinks to appliances. This turns out to be an amazingly difficult problem. The implementation is not too hard, but getting the scheme of the links right poses quite some interesting challenges. So what do I actually mean by permalink? A permalink is a nice and convenient way to point to objects on a web site from outside of the web site itself. In our case this would be links which point to appliances on SUSE Studio. To make this nice and convenient the link needs to have a couple of attributes:"
"There is an 13 letter word that begins with "a" and ends with "y", can you guess what it is? Yup, a11y is what I'm on about, also known as Accessibility. I think the subject of a11y is possibly a very misunderstood one, I for one incorrectly associated it with disabled use of a computer. I have been corrected (on more than one occasion) to the fact that Accessibility actually refers to the ability for anybody to be able to use a computer (or any other device) regardless of any impairment they might have. So that means both people with and without disabilities are a11y users. In addition to that, a11y can also help developers to automate testing - quite often UI testing. " "A little more than two weeks ago we released Kraft version 0.40, the first version of Kraft based on KDE 4 software platform. The release went fine as far as I can tell, no terrible bugs were reported yet. Some work went into the new website since then, but in general I need a few weeks break from Kraft and spend my evenings outside enjoying spring time. Today, Sourceforge posted a blog about Kraft after they kind of mail-interviewed me. It’s nice, it really focuses on the things also important to me. This might be another step towards a broader user base for Kraft. I say that because one could have the impression that the number of people actually really using Kraft could be larger. A high number of users is one of the fundamental criteria for a successful free software project and thus I am constantly trying to understand whats the reason for the impression or the fact." "So further to my post on a11y in openSUSE, I was asked how one would enable Accessibility. Now to be honest I only kind of know how to do it in GNOME, so I set off on a little exploration of the other desktop environments. It may seem strange that I'm trying to champion a subject that I don't really know, but that's part of the reason why I'm doing so. Accessibility isn't supposed to a buzzword, it is meant to be a usable function for all. Hopefully I can learn a bit along the way and get the message out there - oh and if you could do the same that would just be spiffy ;-)"
64 or 32 bit on core2duo? "This is a question that seems to crop up from time to time even though 64 bit is pretty much a no brainer. If you've got it, use it! Linux seems to be light years ahead of Windows in this area. Just try downloading a 64bit Firefox for your new 64bit windows 7." "These problems can sometimes be tricky to work out. But our forum members do a good job identifying the issue and explaining the options available." "You either understand partitioning or you don't. For many it's (don't), and yet they undertake it at leisure! Hopefully some sage advice will help." "Now you're just bragging Lee. 5 PC's! I have it on one (Laptop) and using gnome. Great results so far. A good read this thread for those testing the development version." KDE Software Compilation 4.4.3 Released: Codename "cuality"
"May 5th, 2010. Today, KDE has released a new version of the KDE Software Compilation (KDE SC). This month's edition of KDE SC is a bugfix and translation update to KDE SC 4.4. KDE SC 4.4.3 is a recommended upgrade for everyone running KDE SC 4.4.2 or earlier versions. As the release only contains bugfixes and translation updates, it will be a safe and pleasant update for everyone. Users around the world will appreciate that KDE SC 4.4.3 multi-language support is more complete. KDE SC 4 is already translated into more than 50 languages, with more to come." "Qt 4.7.0 Beta1 is now available for download from the Qt Download Page. The Beta includes both source packages (.zip and .tar.gz format) and binary packages (for Mac Cocoa, Mac Carbon, MinGW 4.4.0 and Visual Studio 2008). Note that there is a slight change in the naming of Mac packages compared to Qt 4.6.x — The Carbon packages are now named “qt-mac-carbon-opensource-*”, while the Cocoa packages are now named “qt-mac-opensource-*”. This reflects the fact that Cocoa is now the primary Mac platform for Qt. Binary packages for Carbon will be discontinued from Qt 4.8 onwards, but will continue to be shipped for the remainder of the 4.7.x series." "The RadeonHD Linux driver that came about in 2007 following the announcement of AMD's open-source driver strategy has had an interesting history. This driver was developed by Novell's developers, but now they are even dropping it from their openSUSE distribution." "Part of the excitement of attending a major conference is listening to industry leaders share the goings-on and goings-forward of the biggest names in the game. If you've been waiting to hear who will be on the dais for LinuxCon, listen up. It may just be May, but LinuxCon is fast approaching, and information about the event — which will be held in Boston from August 10th - 12th — is slowly trickling out. This week's trickle concerns the conference schedule, which despite registration being in full swing, has been all but unknown." "Back in the day there was one site to host an open source software project, and it was SourceForge, and things were good. A quick glance on SourceForge or its sister site Freshmeat, and it was easy to track the majority of activity in the FOSS community. SourceForge also set certain expectations of projects that sites like GitHub do not, and the result may be less than optimal." "Much as I hate to admit it, Microsoft does some things better, much better, than Linux. Number one with a bullet is how Microsoft helps programmers and ISVs (independent software vendors). MSDN (Microsoft Software Developer Network) is a wonderful online developer resource. Linux has had nothing to compare. True, there is the Linux Developer Network, which, when it began, looked like it would be the Linux equivalent of MSDN, but it hasn't lived up to its promise. And, I can't overlook the Linux Foundation's Linux training classes. But, if I'm an ISV and I want to write software for Linux, I'm still going to need to piece together a lot of it by myself." This page was last modified on 2 October 2010, at 13:12.